From Fortune 500 companies to the mom and pop shop around the corner, OWOSSO Graphic Arts, Inc. provides photoengraving services for all types of print finishing applications. No matter your print finishing needs, our brass, copper & magnesium dies are used to create a variety of products, including: Business cards, Brochure folders, Yearbooks, Textbooks, Greeting cards, Packaging, and much more. The different applications for print finishing to improve the appearance of your product include foil stamping, embossing, letterpress printing, and debossing. Owosso Graphic Arts produces high quality copper & magnesium dies for special decorative effects like foil stamping with same-day service on nearly 100 percent of orders. Foil stamping is a cost-effective, eye-catching form of heat transfer printing. Using a heated metal die, color pigments are stamped onto paper and other materials to create a visually-appealing addition to many products. Order your custom foil stamping die and add a reflective surface to a book cover or shopping bags as an easy way to catch the eye of someone and make the product more desirable. Owosso Graphic Arts, Inc. produces quality copper & magnesium embossing dies. OWOSSO also produces brass dies for sculptured embossing and combination foil/embossing. There is a variety of options for embossing dies, including blind embossing, registered embossing and combination embossing. 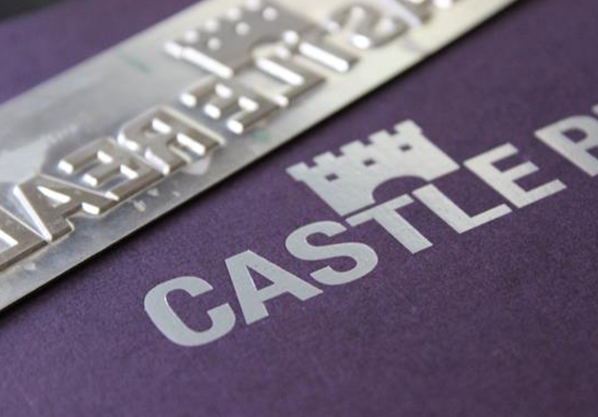 Debossing is the same as embossing, only instead of raising an image, the graphic is pressed into the material. OWOSSO can make a paper debossing die with or without a counter die.